In shocking news, there are FAKE FLOWERS included with this bouquet in a vase on Monday. Now the nights are drawing in, there are fewer long stemmed flowers in the garden and so I’m experimenting with silk flowers to get a BIG impact. 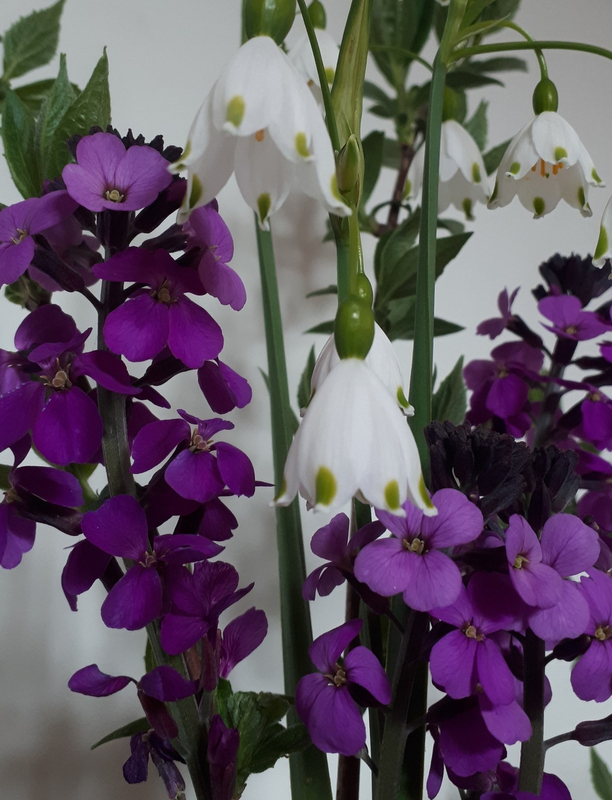 These faux delphinium stems that I got these stems that I got at a charity shop in Frome are quite pretty, and I like the form and colour they bring to this arrangement. 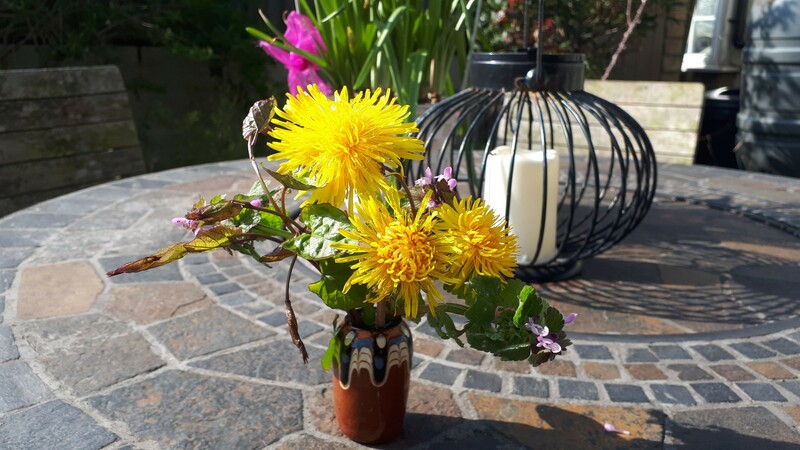 Cathy at Rambling in the Garden shares a vase of freshly gathered flowers each Monday, her blog and the ‘Monday Vase’ meme is an absolute delight. 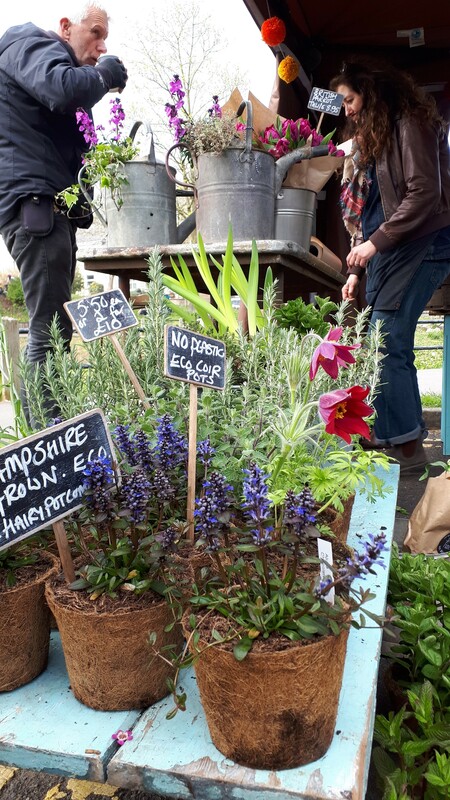 Often faux flowers are frowned on, but I’m offering a bit of both at Frome Blooms this month. I do like the way that artificial flowers give a display a big POP of colour, and when disguised among natural foliage and grasses they look fine (from a distance). Some of the silk flowers are intricate and delicate, and I think they’re a great option as a lasting keepsake. 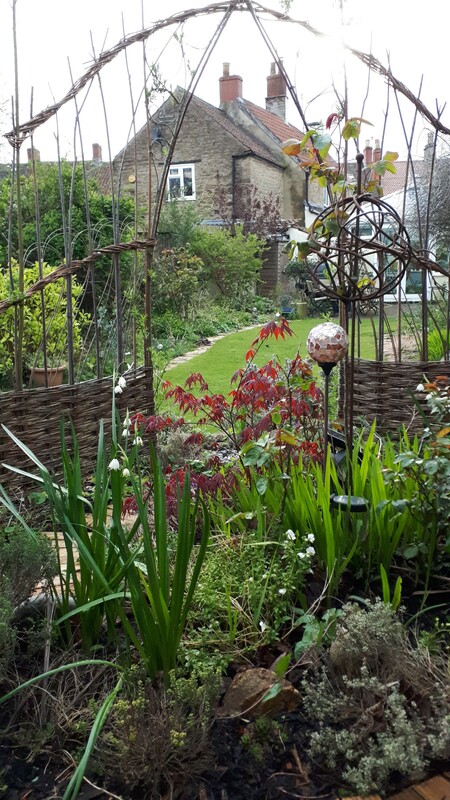 Regular readers of my blog might recall that I’ve been ‘Doing A Plan’ to get out of the office and into the garden, and I’m pleased to announce another BIG TICK on the done list today, as the Frome Blooms gift box for October is now available. 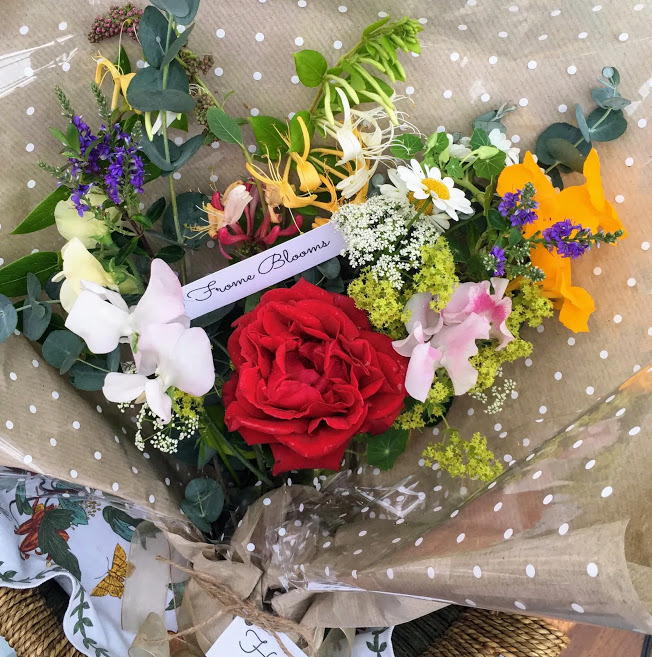 The gift box includes a dry bouquet, a fresh posy and a little gift and I hope that a few more customers sign up for regular flowers. Doing a theme each month and then sending out fresh boxes each week will be a lot easier to manage and market than the insanity of offering a fresh bunch each day. That’s a big lesson learned, but equally I could’t have learned as much as I did if I’d only done a few bunches each month!